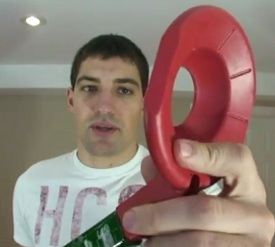 The Halo is a stickhandling and shooting training aid for hockey players. 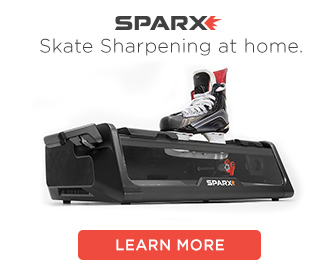 The idea behind the device is to train newcomers to the game of hockey. The problem a lot of new players have is using their muscles properly. 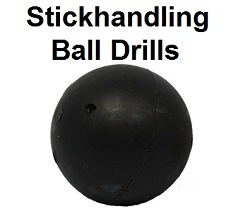 Most hockey players who just start have trouble stickhandling and shooting. The Halo was made to only work if proper technique is used. Purpose – The purpose of the Halo is to train build your muscle memory to perform the proper actions that are required for shooting in hockey. 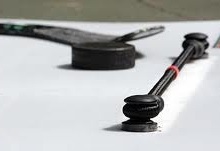 In order to raise a ball while using the Halo you will have to cup it, and then perform the “wrist flick” that also helps elevate a hockey puck. What you get – The Halo is a one-piece unit that will fit into a senior hockey stick shaft. Installation – Installation was easy. I heated the shaft up with a heat gun and then worked the halo into the shaft. It took a bit of force to get it in, but it fit snugly and I am sure it will stay in. 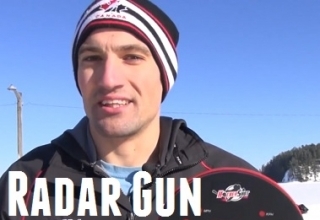 Testing out the Halo – The Halo promises to train the hands to properly take a wrist shot. 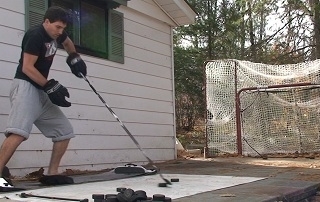 I already know how to take a wrist shot so I am simply testing the motion out. 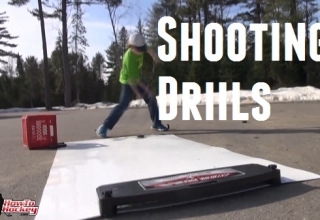 To train your shot with the Halo you simply cup a ball underneath the Halo, and then shoot it. In order to raise the ball you will have to perform the “flick of the wrist”. I was able to raise the ball, but when I was testing my accuracy it was not as good as when I use pucks. Is it like shooting a puck? – I think the Halo does require similar motions as shooting a puck, but there are about 20 different ways that I shoot a puck, and with the halo you can only do two (forehand and backhand). Shooting with the Halo is similar to shooting a wrist shot with a puck, but it is not exactly the same. First I will talk about things that I was not to impressed with. The first one would be the amount of use that you would get from the Halo. 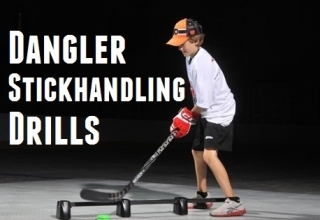 It could help hockey players learn the proper movements for stickhandling and shooting, but once they learn that motion there is no need for the Halo. That same motion could be learned from repetition and shooting real pucks which in my mind would be the best way of going about it. 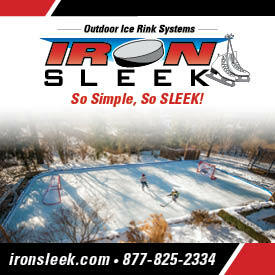 This could be a neat toy to have around if you have a few younger hockey players in your family. 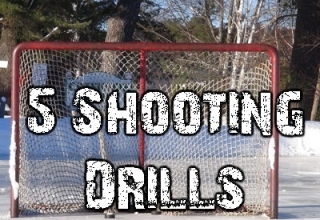 If you already know the basics of shooting and stickhandling then just practice A LOT to build your permanent muscle memory.